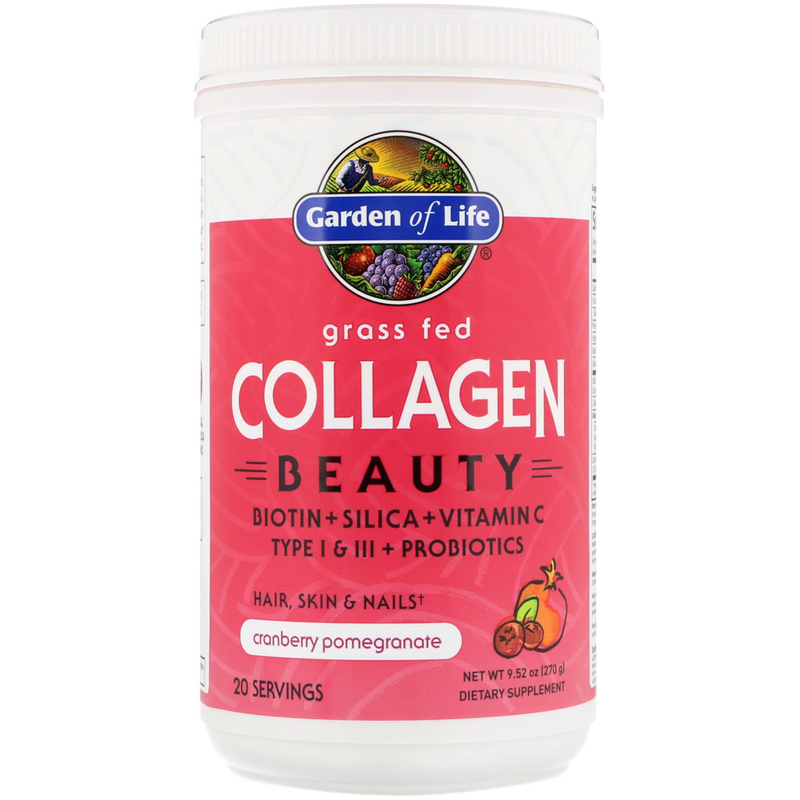 As we age, our body's natural production of Collagen, a protein essential to overall health and appearance, declines. Grass Fed Collagen Beauty brings together the best plant-derived building blocks for beauty & our unique grass fed Bovine Type I & III Collagen Peptides. Mix 1 scoop in 6 oz of liquid (scoop included). Not intended for children. 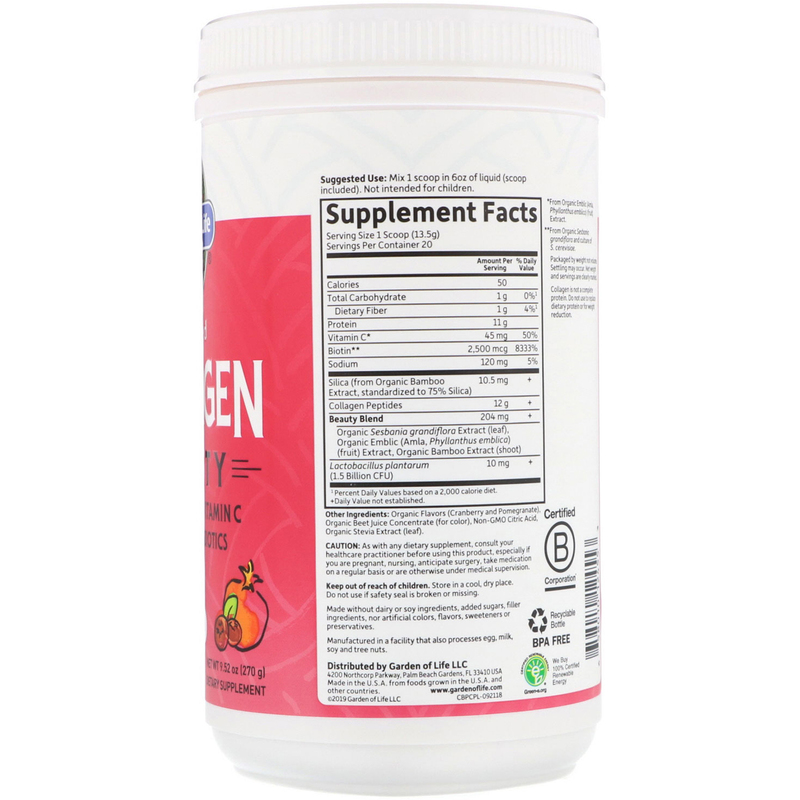 Organic flavors (cranberry and pomegranate), organic beet juice concentrate (for color), non-gmo citric acid, organic stevia extract (leaf). ¹Percent Daily Values based on a 2,000 calorie diet. **From Organic Sesbania grandiflora and culture of S. cerevisiae.